Wolves finished the season with 38 points. Party time! Wolves have survived! Portsmouth 3-1 Wolves: Wolves missed a host of chances but were also comfortably beaten by the already relegated club. Wolves target Aruna Dindane put Pompey ahead before Kevin Doyle equalised. However, further goals from Michael Brown and Frederic Piquionne soured a great day out on the south coast. The away end was littered with inflatables and Wolves fans were celebrating the fact we had survived in the Premier League. 35. Wolves 2-1 Sunderland: What a way to finish off the season. Most of that national press labelled it as “Wolves beat nine-man Sunderland” but in truth Wolves would have probably won anyway. After Sunderland took the lead somewhat fortuitously, goals from top-scorer Kevin Doyle and Adlene Guedioura sealed Wolves’ fifth home win of the season. Michael Turner and Jack Colback were both dismissed late on after they both collected two yellow cards. 38. Summary: Despite losing to Pompey that month has to be put down as a success as Wolves survived the drop. I just can’t wait for the fixtures to be released and for next season to start. Wolves finished April with 35 points. April looked okay. Winnable games at home to Stoke and Blackburn along with a trip to Fulham who were more intent on winning Europa League matches meant we had a chance fo doing well. Arsenal 1-0 Wolves: In a word – DEVASTATING. Wolves put up such a fight and despite Karl Henry being wrongly sent off Wolves held out; until the 94th minute that is. Nicklas Bendtner’s header deep into stoppage time broke Wolves hearts and sent us back to Wolverhampton with nothing to show for a great battling display against one of the league’s best sides. 32. Wolves 0-0 Stoke City: Not a classic. Both sides went close, but in truth a draw was a fair result in the game billed as a Staffordshire derby :S. 33. Fulham 0-0 Wolves: Statisticians Opta described it as one of the worst games in the history of the Premier League. Between them, Fulham and Wolves mustered only three shots on target on a baking hot day in West London. Despite the negative result, I really enjoyed my first trip to Fulham and would happily go back next season. In comparison to neighbours Chelsea, Craven Cottage was very welcoming and housed good facilities. 34. Wolves 1-1 Blackburn: The point that realistically secured Wolves’ survival. Sylvan Ebanks-Blake came off the bench to score a rare header that cancelled out Ryan Nelsen’s first half goal. A pitch invasion ensued at full time. 35. Summary: Not a bad month all in all. Three points against three tough sides saw Wolves secure their Premier League status. Wolves could have won three of the four games. Wolves finished March with 32 points. March looked like another hard month (they all were). Away trips to the trio of claret clubs and home games against United and Everton. United looked distinctly average without the driving force of Wayne Rooney. However, it was the old head of Paul Scholes that scored the goal the separated the two sides. Wolves could have easily taken something from the game. 24. Burnley 2-3 Wolves: The start of a great fortnight of results for Wolves began at Turf Moor. 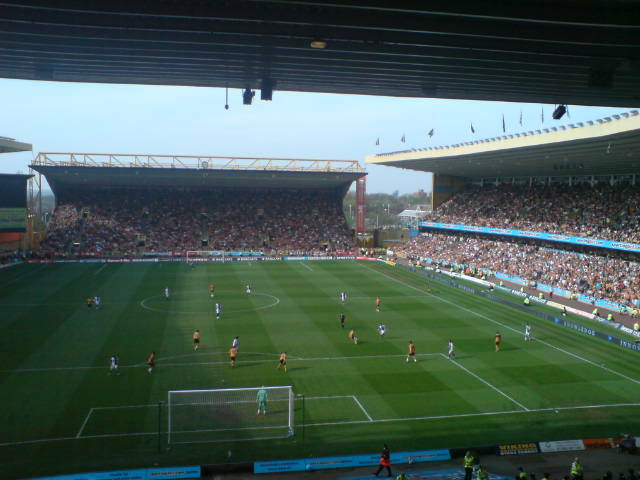 Wolves took a fortunate lead through Matt Jarvis before Adlene Guedioura added a lucky second. Burnley got one back late on through Steven Thompson but Wolves held on to secure and oh so crucial victory. 27. Aston Villa 2-2 Wolves: With the way the game started, you may have thought that Wolves were going to take a severe beating. John Carew scored a goal from an offside position but it stood. Wolves got back into the game through Jody Craddock before James Milner put through his own net after good work from Matt Jarvis. Chim Chimeny Chim Chimeny Chim Chim Cheroo. 28. West Ham 1-3 Wolves: Doylerrrrrr…Zubarrrrrr…Jarvoooooo…YESSSSSSS!!! What a night at Upton Park (sorry the Boleyn). Wolves made everyone stand up and take notice in front of the Sky Sports cameras. Wolves dominated the game and put on a real show to put West Ham in relegation trouble. Despite a late consolation goal for the Hammers, Wolves held on to record another hugely important win. 31. Wolves 0-0 Everton: Everton looked the real deal going forward and Wolves did well to hold them. Good point. 32. Summary: Wolves’ best month of the season saw them return 8 points from 5 games. The key results against Burnley and West Ham are the ones that I think ultimately kept us up. Wolves finished February with 24 points. February looked tough. Games against the blues of Chelsea and Birmingham along with a home game against Spurs. At the end of each Premier League game report is how many points we had accumulated at that stage in the season. Crystal Palace 3-1 Wolves: Wolves bowed out of the FA Cup in dramatic style. We were rubbish. We even let Danny Butterfield bag a hat-trick for goodness sake. The game also marked the debut of Mujangi-Bia. Birmingham City 2-1 Wolves: Two words – KEVIN PHILLIPS. I don’t think too many Wolves fans will be glad to see the back of this man. Forever a scorer against Wolves, the super-sub did it again. Wolves took a first-half lead through Kevin Doyle but Phillips came on to score two late goals that broke Wolves hearts! 21. Wolves 1-0 Spurs: What a night at Molineux. A glittering 18-pass move was finished off on the volley by David Jones. 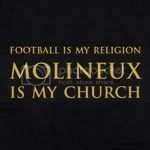 Molineux was rocking! Huge win for the boys! 24. Wolves 0-2 Chelsea: A sign of champions. Chelsea didn’t play particularly well but still came away with the result. A neat move was finished by Drogbarrrrrrr (as Motty likes to call him) and also scored the second to subject Wolves to their second consecutive defeat. 24. Bolton 1-0 Wolves: Wolves started the game really well but conceded a sloppy goal to Villa reject Zat Knight on the stroke of half-time. Kevin Foley was desperately unlucky when he hit the post in the second half and sadly Wolves came away with nothing. 24. Summary: Only one point for Wolves in February made fans nervous. Wolves could have got something from most games but sadly they failed to do so. Wolves finished January with 21 points. On paper January looked okay. Liverpool weren’t playing well and Wigan were unpredictable. Hull away was a huge game! At the end of each Premier League game report is how many points we had accumulated at that stage in the season. Wolves 0-2 Wigan: Wolves were outclassed by a very unpredictable Wigan side. Charles N’Zogbia proved to be the difference between the team as his mazey runs caused the Wolves defence problems. Wolves never really looked in the game. 19. Wolves 2-2 Crystal Palace: Palace took us to a replay at Selhurst Park in the FA Cup 3rd round. Zubar rescued us late on with a spectacular volley. Wolves 0-0 Liverpool: Bit of a dire game really. Liverpool were poor on the night but Wolves failed to capitalise on their mistakes. Bore draw. 20. Hull City 2-2 Wolves: With both sides languishing either in or near the relegation zone, everyone knew it as the game that neither side wanted to lose. In the end the spoils were shared. Jan Vennegor of Hesselink opened the scoring before an Anthony Gardner own goal levelled matters. Ronald Zubar then gave away a clumsy penalty that Stephen Hunt converted before Matt Jarvis popped up at the back post to slot a low shot past Bo Myhill. A deserved point! 21. Summary: We only lost one game but drew others that we should have won! Wolves finished November with 19 points. Wolves entered December with another few tricky looking fixtures. Spurs, United and Liverpool away. At the end of each Premier League game report is how many points we had accumulated at that stage in the season. Wolves 2-1 Bolton: Wolves’ first win since they beat Fulham in September. It was a long time coming. Goals from Craddock and a Milijas screamer secured the much-needed points for Wolves and took our points tally up a bit. 13. Spurs 0-1 Wolves: Despite my earlier comments about Wigan away this was probably the best away game of the season. Full of heart, commitment, drive and desire! Doyler bagged the goal with only six minutes gone and we had to hang on for 90 minutes. I don’t think I’ve ever felt so emotionally attached to a game. It was just amazing! Hahnemann made some great saves at times but Spurs didn’t really test him! 16. Manchester United 3-0 Wolves: Now first of all I didn’t go to this game so I don’t feel as angry as the 2,500 or so Wolves fans that did. yes, the infamous 10 changes game. Slated by the national press and pundits alike. Who cares what they think. MM can do as he pleases (suspended 25k fine or not)! Wolves ay we! 16. Wolves 2-0 Burnley: Another much needed win for Wolves. Burnley were dreadful! Another goal from Nenad Milijas and a Kevin Doyle goal in the second half made sure Wolves fans went into Christmas with their heads held high. A well-deserved win! 19. Liverpool 2-0 Wolves: The Andre Marriner show! I mean….erm…. The ‘West Brom fan’ sent off Stephen Ward for two dubious bookings and until then Wolves were firmly in the game. Gerrard and Benayoun got the goals for Liverpool. It could have been so different! 19. Wolves 0-3 Manchester City: Wolves were again outclassed by a top side. Tevez bagged a brace before Javier Garrido curled in a stunning free-kick to leave Wolves gobsmacked. However, due to the month’s other good results, Wolves finished the year in a healthy 16th place going into the new year. 19. Wolves finished November with ten points. November looked like a daunting month for Wolves. Games against Arsenal and Chelsea along with a trip to rivals Birmingham made the month look tricky. At the end of each Premier League game report is how many points we had accumulated at that stage in the season. Wolves 1-4 Arsenal: Arsenal put on a great show at Molineux and underlined why they have the reputation they do. An own goal from Ronald Zubar got the ball rolling before Craddock also decided to put on in his own net. Further goals from Fabregas and Arshavin sealed the win before Craddock scored in the right net with one minute left on the clock. 10. Chelsea 4-0 Wolves: An absolutely outstanding performance – from Chelsea. Wolves were always going to be up against it despite the home team missing Drogba and Lampard but the fact MM fielded a 3-5-2 formation threw any hope of a result out the window. Malouda, Essien (2) and Joe Cole got the goals that subjected Wolves to a second consecutive defeat. The ticket cost £48 as well. NIGHTMARE! 10. Wolves 0-1 Birmingham: Just the result we didn’t need. Wolves started badly and Lee Bowyer put Blues ahead after three minutes. Wolves never really looked like getting back into the game and I rinsed for the rest of the week by my Blues supporting mates 😦 10. Summary: Wolves’ worst month (results wise) of the season. Looked out of our depth in all three games and deserved to lose them all. Nuff said!